Welcome to λ-Files. This is a blog where I will be sharing some of my thoughts on science (mostly computer science), engineering and technology. In pebble argot this is called "watchface." 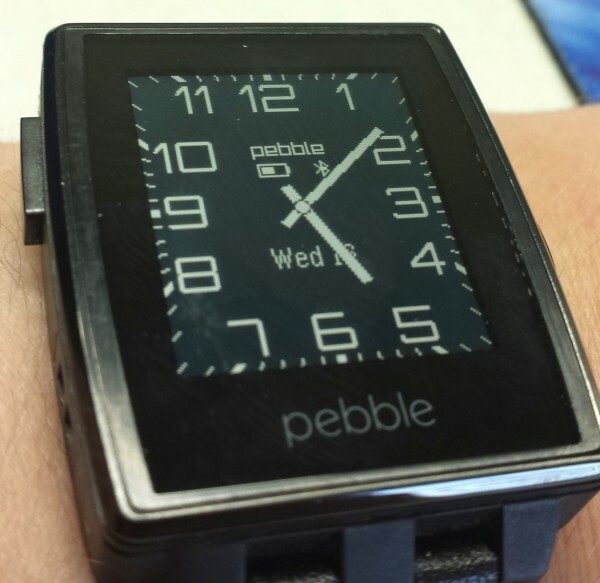 This is a particularly popular one and there are dozens of variations of it in the Pebble store. The problem shown is that sometimes date "window" (at least this is what it is called on mechanical watches) is obstructed by watch hands and you could not tell the date. There is nothing you can do about it in old style mechanical watch, but on Pebble you can, for example, move the date window position around to make it always visible." You can install it following this Pebble App Store Link. You are welcome to fork the github project and improve.